What Are Some Fun Facts About Houston? 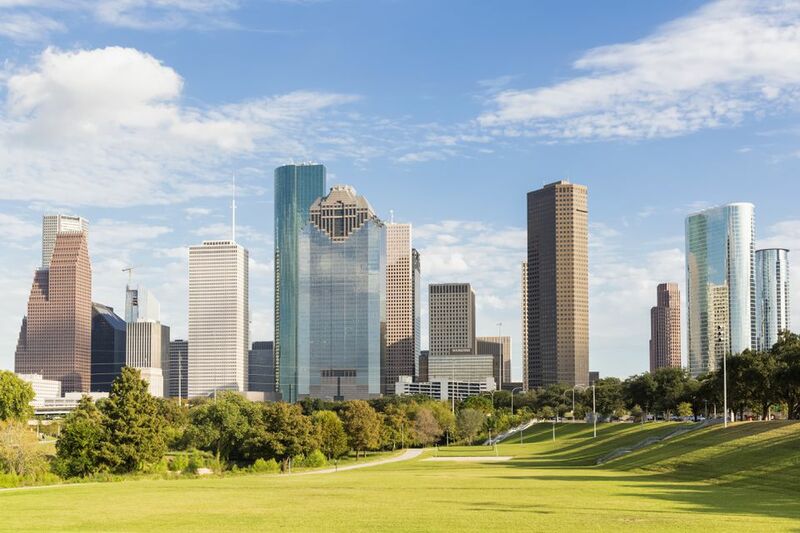 Many people know about Houston for its status as the fourth largest city in the country, its notoriously aggressive driving culture, or legendary Tex-Mex. But there's a lot more to Space City than big numbers and tasty queso. The metro area is larger than some states, its diverse population is unparalleled, and Sam Houston had little to do with its creation. Here are some things you (probably) didn't know about Houston, Texas. When NASA retired its shuttle fleet after 30 years of space flight, the Discovery, Enterprise, Endeavor and Atlantis all found permanent resting places here on Earth — but despite Houston being home to NASA's Johnson Space Center and Mission Control, none of them ended up in Space City. Instead, the shuttles were sent to the Intrepid Sea, Air & Space Museum in New York; the Udvar-Hazy Center Chantilly, Virginia (outside of Washington DC); the Kennedy Space Center in Florida; and the California Science Center in Los Angeles. Houston might not have a space shuttle, but it does have a Saturn V, which is arguably way cooler. While the space shuttles might have had more than 130 missions into lower Earth orbit and the International Space Station, the Saturn V actually sent people to the moon. Houston wasn’t left totally empty-handed, however, when the shuttle fleet was retired. The Johnson Space Center did get flight deck pilot and commander seats, and a replica shuttle now sits atop a 747, which you can tour at Space Center Houston. It's the Most Diverse Major City in the U.S. According to a report by Kinder Institute for Urban Research & the Hobby Center for the Study of Texas, Houston is the most diverse city in the United States — more diverse than New York City, Los Angeles or Chicago. That's because no other city has as equal of a distribution as Houston does of the four major races/ethnicities found in the United States. It is truly a minority-majority city. It's also incredibly international. More than 90 languages are spoken in the Houston metro area, though the most common are English, Spanish and Vietnamese. It often surprises many visitors to find out that Houston has the largest U.S.-based Vietnamese population outside of California. Nearly 35,000 Vietnamese Americans call the city home, largely in Houston's Midtown and Chinatown areas. It wasn't always that way. Houston's population doubled between 1950 and 1970, jumping from 596,163 to 1,233,505, and since then, it has roughly doubled yet again to more than 2 million just in the city alone. The Houston metro area — encompassing not just the city of Houston, but also The Woodlands and Sugarland areas — is home to nearly 6.5 million people. This rapid increase has likely been due to growth in Houston's major industries, specifically medicine, oil and gas, and aeronautics. The Houston metro area takes up 8,778 square miles, making it bigger than the state of New Jersey but slightly smaller than Massachusetts. In fact, the city is so large that it actually completely encompasses other cities. As Houston grew and began annexing smaller surrounding towns, some suburbs were left totally engulfed by Houston. The cities of Bunker Hill Village, Hunters Creek Village, and Piney Points Village, for example, are part of a collection of independent cities on the west side of Houston's downtown in an area known as Memorial Villages. These cities are totally surrounded by Houston city limits but are independent and have their own city governments and police departments. Houston might be known for its heat and Texas sunshine, but it has its fair share of stormy weather. The city gets an average of 45 inches of rain every year — about 10 inches more than Seattle. While the Pacific Northwest might experience near constant drizzling, rain on the Gulf Coast often falls in thick sheets. This is why Houston has a series of bayous, or waterways, winding throughout the city, giving it its nickname of the Bayou City. As heavy rain falls on the flat terrain, the bayous are able to collect the water and carry it away. While these waterways go a long way to prevent flooding, Houston still isn't immune. Flash flooding due to excessively heavy rainfall in the springs of 2015 and 2016 destroyed dozens of homes and caused several deaths. Nothing compared, however, to Hurricane Harvey in 2017, when more than 50 inches of rain fell in a matter of days, resulting in tens of thousands fleeing their homes due to rapidly rising waters. The Long Point-Eureka Heights fault system runs from the southwest side of Harris County to the northwest side, and features more than 300 surface faults, according to the University of Houston. While these faults are not the kind to cause massive earthquakes, they can still move up to an inch a year. The shifting ground is too subtle for us to feel, but the small shifts do have an effect. Buildings and streets straddling the fault line can suffer damage over time and even flood more easily due to changes in elevation. In 2009, Houston elected Annise Parker, becoming the largest U.S. city to elect an openly gay person as mayor. At the time, Parker had been in the public eye for decades, serving both in public office and as a gay rights activist. She won the majority of the vote in 2009, and then went on again to win both a second and third term. The GDP of the Houston metro area was more than $500 billion in 2015, compared to Sweden's $484 billion. In fact, only 21 countries in the world have a GDP larger than Houston. This is likely due, in no small part, to Houston's robust and diverse industries. The city is home to 26 Fortune 500 companies, many of which are in the oil and gas industry. But thousands of people are also employed by the Port of Houston, NASA, and the Texas Medical Center — the largest medical complex in the world. The city of Houston was actually founded in August 1836 by Augustus Chapman Allen and John Kirby Allen. Shortly after Texas won its war for independence, the Allen brothers bought a patch of 6,642 acres along Buffalo Bayou. They decided to name their new city after the war hero and first Texas President, Sam Houston. Sam Houston had many accomplishments in Texas' early history — including winning the famous Battle of San Jacinto — but founding Houston was not one of them. The Shri Swaminarayan Mandir in Houston is the first traditional Hindu Mandir of its kind in the United States. The pieces were shipped from India to the U.S. to be reassembled carefully in Stafford, Texas, a suburb just outside of Houston. Made with 33,000 hand-carved pieces of Turkish Limestone and Italian marble, the mandir took 16 months and 1.3 million volunteer hours to assemble. Now, it is a hub for spiritual, cultural and social activities for Hindus and visitors alike. The building itself is spectacular, but the real treasures are the murtis — sacred statues of deities and gurus — found inside. Like the temple itself, the murtis are painstakingly crafted and stunning in their vibrancy and detail. The mandir is first and foremost a place of worship, but visitors are welcome to tour the temple, so long as they have appropriate attire and adhere to guidelines outlined by the temple.